The Serenity Tea for Two Bistro Furniture Set includes two chairs and a glass topped table. 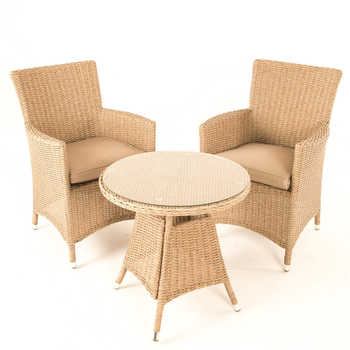 Presented in natural look rattan, this handy set is great for eating, drinking or simply relaxing in the garden. 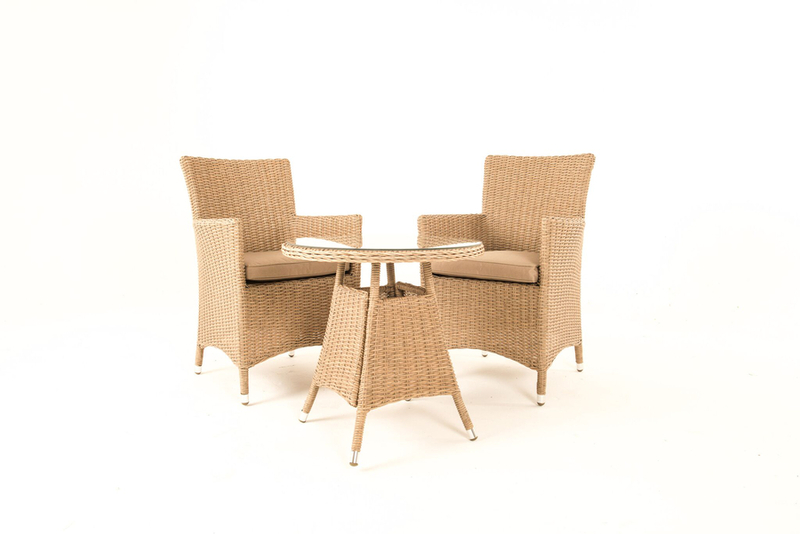 Crafted using UV tested colour fast weave, this set features rust proof aluminium frames and is practically maintenance free. Created from durable, high quality materials, the Serenity Tea for Two Bistro Furniture Set can be effortlessly kept in great condition. The weave's UV resistant properties means that it will be protected from fading caused by sunlight, and its lightweight yet sturdy aluminium framework is rust proof. The seat cushions included in this set are detachable and can be removed for storage or in the event of bad weather and, if required, can be wiped down with warm, soapy water. The weave itself should be cleaned using a small brush and warm, diluted, soapy water. Do not use a pressure washer to clean woven furniture as it may cause damage.